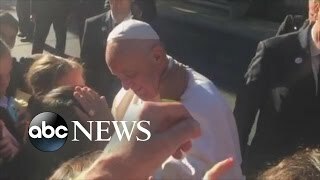 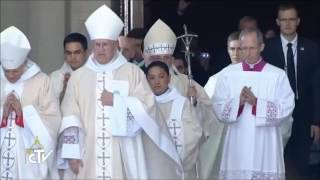 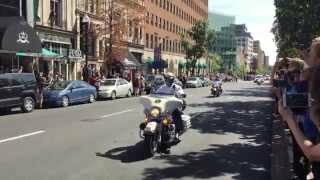 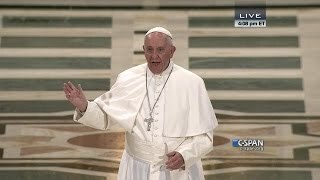 FNN: Pope Greets Thousands During Parade in Washington D.C.
FNN: Pope Francis Arrives in Washington D.C.
Pope Francis steps on U.S. soil for the first time. 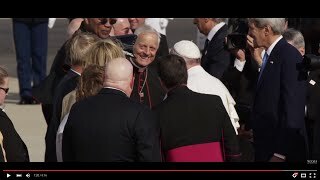 His jet lands at Joint Base Andrews, MD, and is greeted by a range of religious and political leaders from the US. 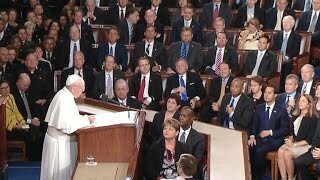 Pope Francis's second day in Washington, D.C.
Pope Francis Shows Personal Touch When He Rides Through D.C.
Pope Francis addressed a joint meeting of Congress, the first pontiff in history to address both chambers. 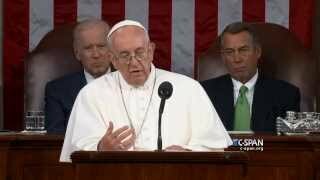 Watch more online here: http://cs.pn/1VaKgcy. 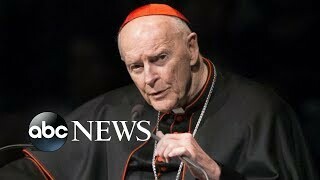 This followed an investigation by the church that found the former Cardinal Theodore McCarrick guilty of sexually abusing minors and adults many decades ago. 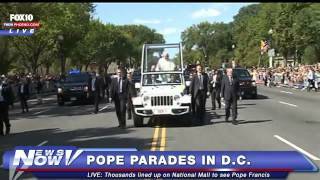 Edited for musical and sound review- September 2015 Pope Francis Basilica of the National Shrine of the Immaculate Conception Washington DC. 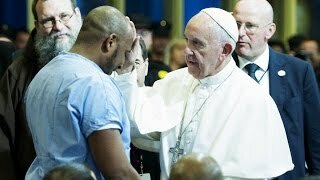 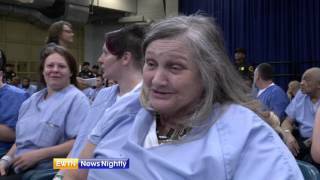 Pope Francis is the first pope to visit a U.S. prison - Mark Irons reports. 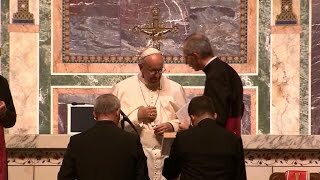 Pope Francis leads prayer service in Washington, D.C.
Pope Francis leads prayers at St. Matthew's Cathedral in Washington, D.C. CBS News papal contributor Candida Moss joins CBSN with analysis.